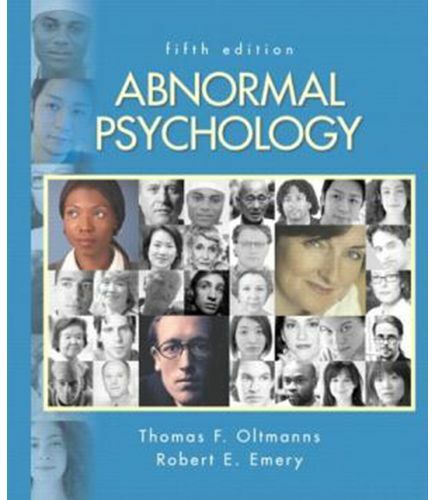 For undergraduate courses in Abnormal Psychology It's not them, it's all of us Oltmanns and Emery bring both the science and the personal aspects of abnormal psychology to life by emphasizing that abnormal psychology is not about 'them,' it's about all of us. Using extensive case studies, they present the most cutting edge information on abnormal psychology by covering methods and treatment in context. Organized around the way students learn, this ground breaking text integrates the biological, psychological, and social perspectives in one concurrent story.